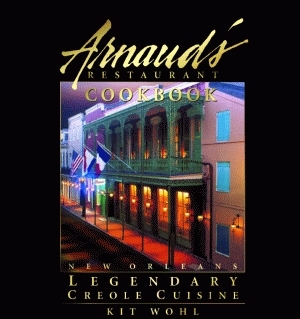 Arnaud’s Restaurant is a leader of old guard New Orleans restaurants and a world-famous monument to the enduring allure of classic Creole cuisine. In a city known for its culinary excellence, Arnaud’s lasting success can be attributed in part to the constancy of its owners, from the 1918 colorful founder, Count Arnaud Cazenave, to his equally flamboyant daughter, Germaine Cazenave Wells, and now to her heir apparent, Archie A. Casbarian. 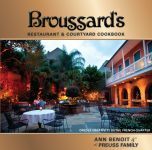 This beautiful and extensive cookbook includes fascinating stories of Arnaud’s history and the celebrities who have dined there, photographs, cartoons, drawings, Arnaud memorabilia, and more than fifty scintillating dishes from the kitchen of the legendary French Quarter restaurant. Archie Casbarian is dedicated to the Arnaud’s Restaurant heritage and maintains its expansive menu, one that is replete with traditional recipes to which he adds a contemporary accent. 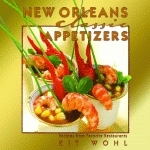 Creole cooking is an exuberant, living cuisine, proprietor Casbarian emphasizes. It continuously evolves as we take advantage of Louisiana's rich bounty of fresh seafood, shellfish, produce, and culinary talent. 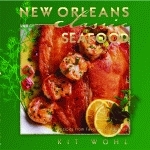 Each of the famous recipes in Arnaud’s Restaurant Cookbook has been carefully adapted for use in the home kitchen, including Arnaud’s Oyster Soup, Trout Meunire, Oysters Arnaud and Bienville, as well as the restaurant’s spectacular dishes for special occasions from weddings to Mardi Gras. Evocative photographs capture diners basking in the joy of Arnaud meals. They illustrate the elegance of the many richly-appointed rooms and reveal behind-the-scenes moments with the devoted staff. Most significantly, the photographs display all the lusciousness of the completed dishes featured in the cookbook that can be recreated at home. Kit Wohl is a marketing specialist, artist, and sculptor who has worked closely with the Casbarians since they acquired the restaurant in 1979 in her capacity as CEO of Wohl & Company. She lives in New Orleans with her husband. David G. Spielman is an accomplished photographer well known for his portraits of political, literary, artistic, and musical figures. His work is represented in private collections and museums in the U. S. and Great Britain, Austria, France, and Germany.